Matthias Horndasch – How Long … Does A Heart Beat? With his fourteen compositions Matthias Horndasch is introducing himself like some kind of ghost whisperer; not only in the parts where his inspirations are to be heard clearly: so happens with “Northern Ways” (where Jan Gabarek and his pianist Rainer Brüninghaus are greeting from not a far distance), but also with “Petit Prière” (which is including a citation out of the French folk song “Frère Jacques”), but most intense with “Thula Baba”. This South African folk song has been part of Miriam Makebas repertoire. If the unique and powerful piano sound on this record is even rooting somewhere along Matthias Horndasch’s past, it is in this – one can hear the echo of rolling sequences with the left hand and the mounting up chords played with full hands, which Abdullah Ibrahim (or Dollar Brand) added to the jazz history; and who had the pleasure meeting Chris McGregor and his Anglo-African all-star-band “Brotherhood Of Breath” once in his jazz-life will be listening closely here. Horndasch’s relations to the African music culture always have been and still are very close; and he is using them without any colonialistic arrogance. Africa has grown a partner for him, to whom he is loyal until today. Unfortunately we have to say goodbye to a dear member of the MIG Music / Art Of Groove artist family. 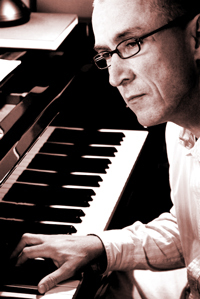 On December 2nd 2015 the jazz pianist, componist, author and host Matthias Horndasch died after a very long severe illness. Next to his musical work he was known for his engagement in TV and radio to cope with the nazi horrors. He wrote books and organized the “Zeitzeugen-Konzerte“. 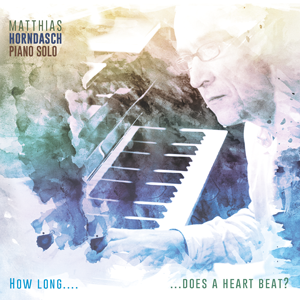 With “How Long … Does A Heart Beat?” Matthias Horndasch released his last album just a few weeks ago via our jazz label Art Of Groove. It pains us, that the answer to the question he asked himself with this title had to be solved so early. We wish his friends and family a lot of strength.